​Barcelona bound Frenkie de Jong has revealed that he spoke with Holland manager Ronald Koeman before deciding to leave Ajax for the Spanish club, claiming that he wanted to know what it would be liking living there and playing at the club. 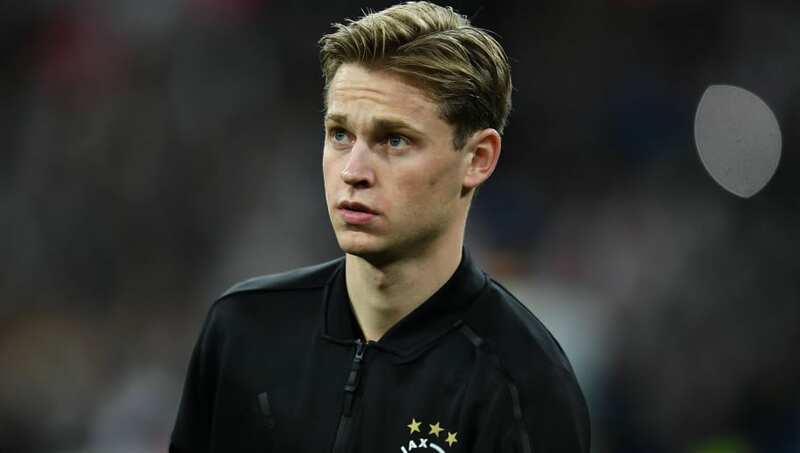 De Jong agreed a deal with Barcelona and will be moving there in the summer, with the La Liga champions paying Ajax a princely sum of 75 million euros for the youngster. Paris Saint-Germain and Manchester City were also in the hunt but Barcelona won out in the end. The Dutchman has now revealed that he spoke with Koeman before taking his decision, considering his fellow countryman had spent six years at the club and had won multiple titles. "I've asked him a lot. I know that he's been successful over there," De Jong said, according to Goal. "I wanted to know what it was like, how the city, daily life and the club were. It's always comforting to know those things before going there." "Yes, I did. Every time I joined up with the national team. There's always been rumours of interest, so I wanted to know what Ronald Koeman thought of everything. [He said] to go somewhere I get to play regularly. It didn't matter where, as long as I played. I'm sure the manager has his preferences, but to him it's most important to gain experience at the highest level." It remains to be seen how successful De Jong will be at Barcelona, with players like Philippe Coutinho struggling to find form at the Spanish club. Considering he is only still a youngster, he will certainly have a lot of learning to do to succeed at such a prestigious club.